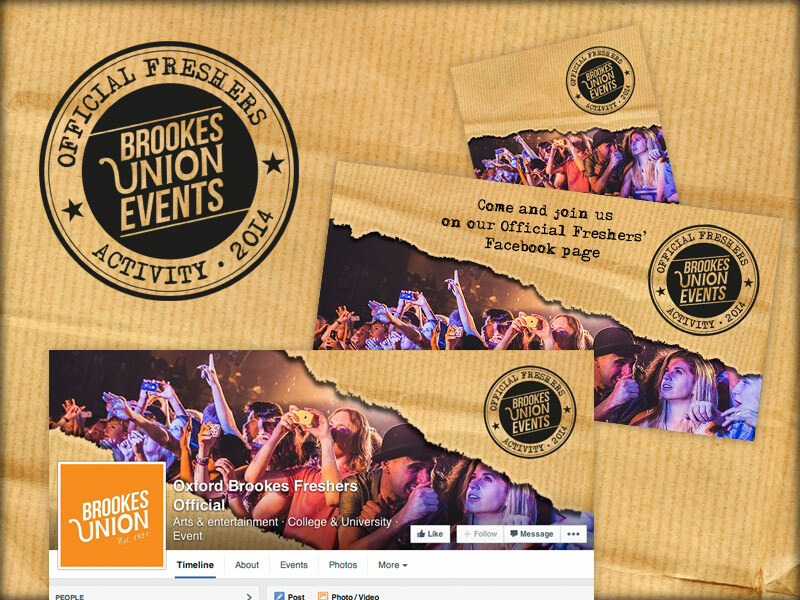 Brookes Union is the student union of Oxford Brookes University. To tie together a variety of promotional activities, both on and offline, for their 2014 intake of freshers, I created an 'Official Freshers Activity' stamp device as an extension of their existing brand. Alongside this, artwork was created to represent the vibrancy and variety of events and activities on offer, with a theme of 'unwrapping gifts'. The artwork and stamp device have been used across social media as well as in online, print and physical campaigns.